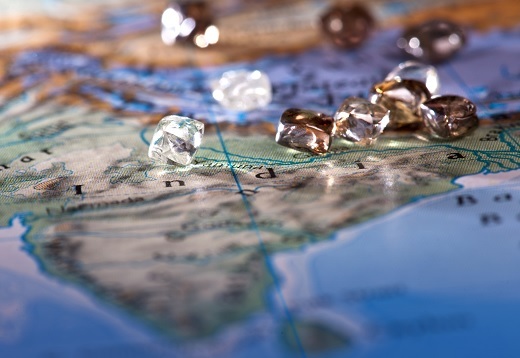 RAPAPORT... Rio Tinto has terminated its Bunder diamond mining project in India, the company confirmed to Rapaport News. The venture in the central Indian state of Madhya Pradesh was tipped as the first significant diamond mine in India and would have been one of only a few deposits in the country. The company declined to comment on local reports that the nation’s environment ministry refused to grant permission for the mine because of its potential impact on forests and tiger habitats. The mine was likely to yield 34.2 million carats over its lifetime, according to Rio Tinto’s website. Operations were expected to commence in 2019. Rio Tinto plans to close all related infrastructure by the end of the year, it said. The deposit “is a high-quality discovery” and Rio Tinto will work with the Indian government and the Madhya Pradesh regional authorities to seek a third-party investor to continue its development. The company also said it will offer a voluntary severance scheme to contractors employed at the site. “Rio Tinto remains committed to its diamonds business and the Indian diamond industry through its two world-class underground mines in Australia and Canada,” the spokesperson added, referring to the Argyle mine in Western Australia and the Diavik deposit in the Northwest Territories.